We all know the “indestructible” Nokia meme, but it looks like it’s time to start a new one. 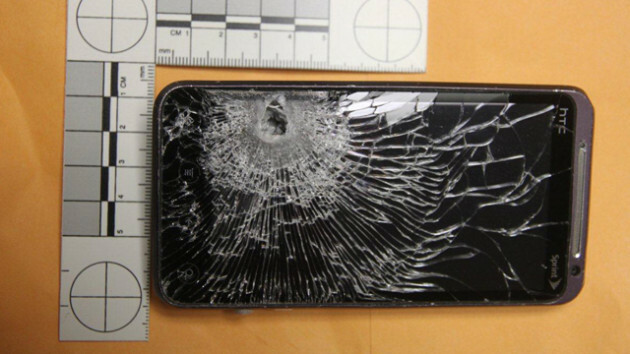 A petrol station clerk was shot at by a robber yesterday in Florida, and escaped with his life after the bullet was stopped dead in its track by the clerk’s HTC EVO 3D smartphone in his front pocket. The clerk had been working his shift at the petrol station with another employee when the robber entered the premises demanding them to open the safe. Unfortunately, both of them did not have access to the safe, and in frustration shot at the clerk as he made his exit. 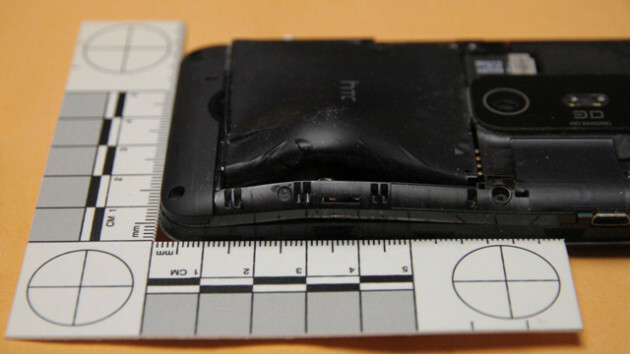 The shot hit the clerk’s chest, where the bullet was stopped by the HTC smartphone’s 12mm thick chassis. According to the police, the clerk “didn’t even realise he’d been shot”, and only realised it when he took out his phone. In addition to escaping with his life, HTC – who followed up on the news report – managed to contact the clerk to pass him a “Glad You’re OK” care package, which consisted of a brand new HTC One as well as other accessories for his new device.